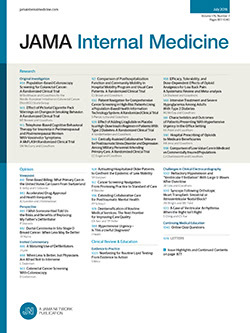 ISSUES IN medical professionalism, including its nature and applicability, are being discussed with increasing frequency by clinicians, educators, sociologists, legal scholars, and others1-11 against a background of marked change in the structure and environment of medicine in the United States. Internally, a progressively deeper and broader science base has transformed and made more complex the task of the physician, has led to a more specialized and technology-intensive mode of practice, and has resulted in the emergence of prominent specialty interests focused in the various clinical societies. External to the profession, extraordinary rises in health care costs have resulted in striking changes in the terrain on which medicine is practiced. Powerful players, notably employers and government, concerned with cost management have catalyzed new arrangements in clinical care, resulting in derivative intrusions on the clinical autonomy of the individual physician, corporate ownership of health care systems, commodification of the clinical process,2,12 and severe fiscal pressures on hospitals, with only a transient impact on cost increases.